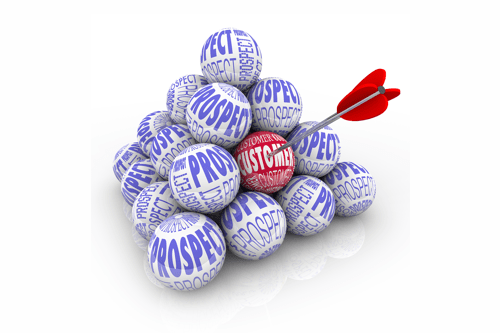 Know Your Prospects – the art of filling your pipeline with quality leads… | The Business Refinery, Inc. Recently I engaged in some research of popular network marketers, coaches, social media gurus and other service based businesses to get a feel for what’s out there, who people serve and how they approach their respective audiences. What I found fascinating is how many of them use the exact same cookie-cutter approach that I frequently hear touted by those who claim they can help their customers rapidly increase their client attraction and conversion all without having to sell a thing! Unfortunately “selling” has become somewhat of a dirty word in many people’s minds which gave credence to clever marketers who advertise “systems” that will never require you to sell a thing to anyone! New entrepreneurs are being bamboozled into thinking that if they just implement the magical “sales funnel” of freebie, email list, e-zine, webinar etc., selling becomes completely unnecessary and a never-ending stream of new business will magically appear in their inbox while they get their beauty sleep or hang at the beach. Sadly, they often invest hundreds, if not thousands of dollars in these “training” programs (aka re-packaged conference recordings, webinars and group coaching sessions) just to find out that it does little to nothing to increase their leads pipeline, let alone convert any of their leads into paying customers. The harsh reality is: YOU MUST LEARN HOW TO SELL if you want to run a successful business. The good news is: you are already a sales person, you just don’t know it yet! We sell our opinions, preferences, and product and service recommendations to others on a daily basis without even realizing our behavior. When we share our raving review of a local restaurant we visited, the amazing features of the most recent gadget we purchased or the great service we recently received at a beauty salon, we essentially “sell” our listening audience on a specific experience, result or solution we enjoyed. Selling your products or services is not much different than the above. It always begins with gaining clarity about what results we are offering and/or what problems we are helping our clients solve. In order to do that, we need to take the time to research and understand our potential clients and their needs. Based on this understanding, we can then provide solutions that best meet these needs and present them in a way that our prospective customers will best respond to. Too many systems I have reviewed offer a one shoe fits all approach, completely ignoring the fact that not all of us respond in the same manner to the use of video, squeeze pages, blogs, e-zines etc. – while there is nothing wrong with any of these tools on their own, we must never underestimate the power of the human relationship and the value of making a personal connection with our potential customers. For example, I am someone who NEVER reads the web copy on squeeze pages – I go straight to the bullets that show what I am getting and how much I am being asked to pay for it. Next to that I look for credentials, not including testimonials as these are unfortunately often fabricated or represent a-typical results. I recently took the time to cross-check some of the testimonials on a very well-known coach’s page just to find none of the links to their “customers” sites actually worked. Consider that each prospect has unique preferences and take the time to understand them as you build genuine relationships with your customer base. Some will have a “just the facts ma’am” personality while others may enjoy a more social approach, want lots of data to make a decision or need to consult others in their decision making process. Resist the temptation to make an offer BEFORE you have established trust and credibility. If you don’t, you are almost guaranteed to lose the sale and possibly even the prospect. I am continuously amazed how many folks want to sell me something or ask me to recommend them to others the minute I like their fan page on Facebook or follow them on Twitter. If you have tried too many of the other “systems” out there without success, it is not too late to course correct! Please accept this invitation to schedule a complimentary business strategy session with me during which we can evaluate how to get you on the right track to a building a profitable business.